From small meetings to larger conferences, indoor or outdoor events, there is no better location than Haydock Park. Our renowned Conference and Exhibition centre near Liverpool and Manchester is first choice for event organisers in North West England. Located just off junction 23 of the M6 motorway, our centre has guaranteed free parking for all of your guests or delegates. Haydock Park is part of Jockey Club Venues and we provide superb specialist event organisers will help you to create a unique and memorable event using our fantastic meeting rooms. Whether it’s your wedding day, a special dinner or an innovative business conference we have the perfect suite for you, complete with first-class catering and fully-licensed bars. 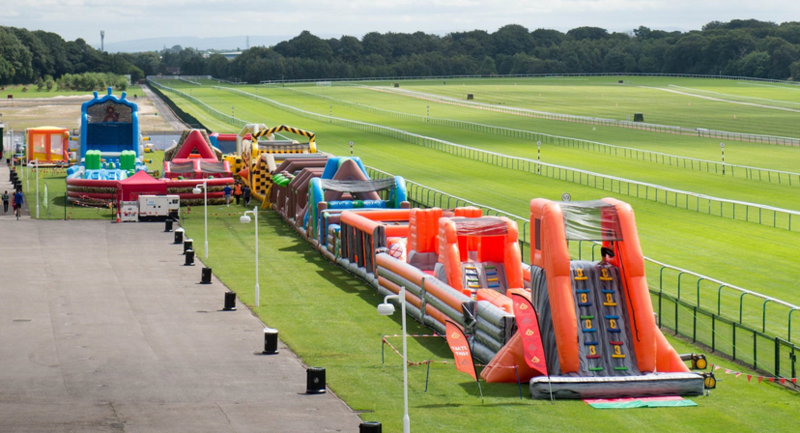 Haydock Park’s exhibition venue is the ideal choice for your North West event whether you’re looking for indoor or outdoor space. Meeting rooms in our conference centre provide a sensational venue for any event, from craft shows to fishing exhibitions. Simply stunning, Haydock Park Racecourse is set in 127 acres of scenic parkland. There are 1,000 square metres of indoor ground floor exhibition space and 13 acres of hard-standing ground for major outdoor events. Ideal for smaller meetings of between 10 and 40 people. Located on the second, third and fourth ?oors of the Centenary Stand, our Boardroom and Boxes are ideal for smaller meetings of between ten and forty people. In close proximity to our larger suites, these rooms can be used as breakout rooms for the larger conference. With access either by its grand oak panelled staircase or lift, the Horseshoe Suite can’t help but impress. Part of the Centenary Stand, with a large balcony area overlooking the racecourse, this suite is ideally suited for dinners, conferences, exhibitions and training days. Ideal for seminars and presentations for up to eighty delegates, the Jubilee Suite is located on the ground floor. It includes a spacious conservatory where guests can gaze upon the picturesque Parade Ring and Winner’s Enclosure area. Located on the Ground Floor of the Centenary Stand, the Lancaster Suite is a popular choice for dinners, conferences and exhibitions. As it is conveniently located next to the main entrance, it is also excellent for exhibitions. The Park Suite is the ideal choice for those looking for an impressive, modern space. 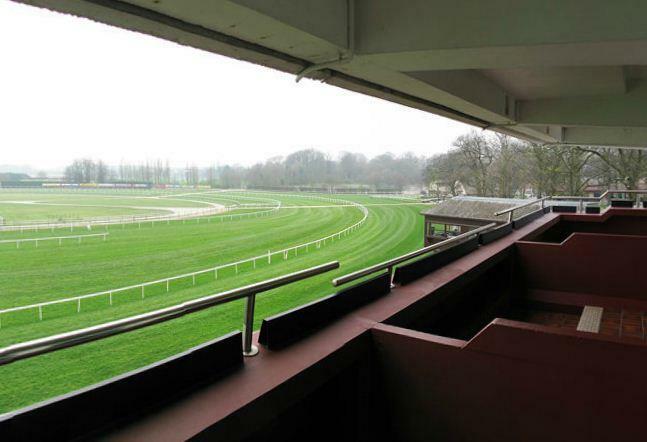 Located on the second floor of the Makerfield Stand and offering superb views over the racecourse. The newly refurbished Park Suite is the ideal choice for those looking for an impressive, modern space. Capable of entertaining up to 500 guests, this stunning suite split over two levels is perfect for dinners. Fresh, contemporary and ever so stylish, the Premier Suite is suited for both dinners and conferences of up to 200 guests. It even has its own conservatory to the rear which is the perfect spot for drinks receptions. As this suite has direct access to the Tommy Whittle Stand’s six syndicate rooms and thirty boxes, it’s ideal for multi-room conferences or exhibitions. The Paddock Pavilion and its fantastic facilities lie at the heart of the racecourse. This single storey suite, situated in the scenic Parade Ring area of the racecourse is ideal for meetings, seminars and presentations for up to 150 guests. The Whittle Suite can comfortably accommodate up to 100 delegates, making it ideal for both seminars and presentations. Thanks to its first floor location on the Tommy Whittle Stand, it also offers impressive views over the entire racecourse.